Clubbers of the golfing kind will find the nine golf courses in Tenerife more than ample to test their prowess. And with year-round sunshine you can play without the handicap of rain dampening the day. 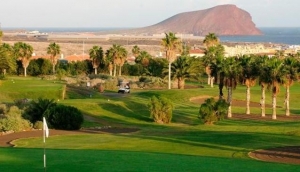 If you're thinking of playing some holiday golf, Tenerife is the ideal destination. Tenerife golf courses are designed to suit all levels, from the sod-hackers just starting out to the Sergio Garcia wannabees ready for a challenge. Golf in Tenerife is a sport-for-all, with sensational courses and stunning fairways under an ever-present blue sky.